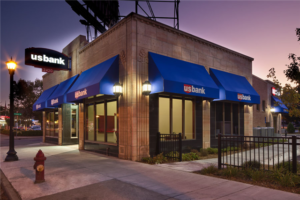 U.S. Bank is the fifth largest commercial bank in the United States. With over $330 billion in assets, U.S. Bank has been able to weather the financial storm that has hit many other banks to disrepair. U.S. Bank is known for their exceptional customer service, and the US bank home mortgage rates are competitive in the space, which makes them a great candidate to consider for your home refinance. Here’s everything you need to know about a U.S. Bank refinance. As with most regional lenders, US Bank offers an extensive amount of refinancing products for homeowners, complete with fixed and adjustable rate mortgages, home equity loans and lines of credit. Loans are available up to 90 percent loan-to-value without mortgage insurance. US Bank offers further savings by locking your interest rate on a loan with terms up to 20 years. Sometimes, homeowners simply need a bit of extra cash to make ends meet. There are a few ways to take out cash on your home through the equity programs at US Bank. Depending on your circumstances, you may be able to obtain more competitive equity rates. For example, if a homeowner needs the cash for student loans, then he or she will be able to obtain lower interest rates on the equity loan. Cash out refinancing allows homeowners to access the equity in their home and get cash at closing. A cash out refi is an alternative to a home equity loan, is essentially a second mortgage. It’s also important to note that a cash out refinance comes with closing costs just like a purchase mortgage, so assess these fees before moving forward. If you owe less than $150,000 on your home, U.S. Bank offers a program called Smart Refinance that eliminates closing costs – inquire about your situation. If you’re a current US Bank mortgage customer, you may be eligible for a Streamline Refinance. A Streamline Refinance allows you to speed up the refinance process by eliminating some of the paperwork, and costs associated with refinancing. It may also make it possible to reduce your loan term or qualify for a lower interest rate. You may also have the option to skip an appraisal if you wish. The Streamline refinance program allows you to refinance a home on an FHA loan, a VA loan, or a conventional loan. The regular refinancing program will allow homeowners to lower a current interest rate on a mortgage. One may also be able to change the term of a loan or include mortgage closing costs in the new loan that has been created. By speaking with a US Bank loan officer, you can decide upon the best way to resolve your financial issues. There are plenty of programs available through U.S. Bank Home Mortgage that are designed to help you save money. Traditional 15-year mortgage rates or 30-year mortgage rates with a fixed rate are two of the more popular refinancing options. 15-year mortgages tend to have lower rates, while 30-year mortgages tend to have lower monthly payments. All the government-backed loan products — by the Federal Housing Administration, Department of Veterans Affairs and the United States Department of Agriculture — are represented through US Bank, too. These products typically have less stringent qualifying terms which means lower standards for credit history, loan-to-value ratio, and income-to-debt ratios. Credit history – Conventional refinance loans require higher credit scores than federally backed loans because they are riskier. Improving your credit score can improve your financing options. If your credit score is 620 or above, you may be eligible for an FHA loan, speak with a representative directly for more details. Market value – What is your current loan-to-value ratio? The better your ratio, the better rates and products will be available to you. If your home has declined in value, you may consider the Home Affordable Refinance Program (HARP). U.S. bank may be one of the rare exceptions to the fee charts – they currently do not charge origination or application fees for refinancing. However, just because U.S. bank doesn’t charge these ancillary fees doesn’t mean homeowners will escape all types of fees associated with a refinance. It’s still likely third-party participants in your refinance – like credit lenders, appraisers, etc – will still be passed down to you. Calculating the break-even point before securing your refinance will help display how ancillary costs will affect the total price of your refinance. US bank also offers an incentive for existing customers to continue their service with US bank for their refinance. If you have a platinum checking account, you could be eligible for $1,000 discounts on mortgage fees. If you bought your home during a time when rates were exceptionally high (like in 2008), or if you currently have an adjustable rate mortgage (ARM), refinancing can be an important financial strategy. In the end, you need to determine what your goal is before deciding on a solution. Use a mortgage calculator, work with a mortgage broker, or speak with a lending officer directly to help estimate the benefit of a refinance for you. How does US bank compare to other banks? U.S. Bank vs. Wells Fargo: There are no origination fees associated with U.S. Bank refinance products, which is definitely one of the most impressive features of the institution. Similar to U.S. Bank, Wells Fargo offers a streamlined process for existing customers to bypass some of the paperwork associated with refinancing, but Wells Fargo doesn’t currently offer an incentive like the $1000 discounts for existing customers, or the $0 origination fee. For these reasons, U.S. Bank might be more desirable for existing customers. U.S. Bank vs. PNC mortgage: If your biggest concern with refinancing is your current credit score, PNC might be more lenient than other options. The minimum credit score for eligibility at PNC is 620. PNC also takes into consideration non-traditional forms of credit, like the amount of on-time rent payments you have made, when determining your credit health. This could give you the leg up if you’re on the cusp of eligibility for top products. Like US Bank, PNC does charge an origination fee. So when calculating the true cost of your refinance, it’s important to determine if that fee will make a refinance more expensive than with another lender, like US Bank. Over 15.8 million customers trust US Bank with their finances. In addition, there are over 60,000 employees who work for US Bank Home Mortgage. For obtaining assistance with an Order Title Refinance or Order Title Rates, US Bank is the perfect bank to consult. Be sure to check out www.usbank.com for more information on refinancing, and home equity options. Also, there are loan officers available to help you resolve financial problems on a daily basis. You can simply call the phone number for US Bank, which is 877-303-1640. The sooner you call a loan officer at US Bank, the sooner you can find a solution that works for you.